One of our biggest expenses in our monthly budget is groceries. The cost of groceries can be anywhere from $400-$600 a month for our family of 5. When we have guests visiting (which is often) our expenses rise by $200+ a month for additional groceries. My husband and I have been doing everything we can to try to lower our expenses when it comes to buying groceries, but it can be difficult. I’ve been using the Ibotta app for a few years now to save money on our grocery bill. Ibotta is available for download on IOS or Android and is a great way to find cash back rebates on your favorite products that you buy at the grocery store. I’ve earned a total of $297.53 since becoming a member of Ibotta. I have $7.73 saved up towards my next reward! Keep reading below to learn more about the rewards you can earn. 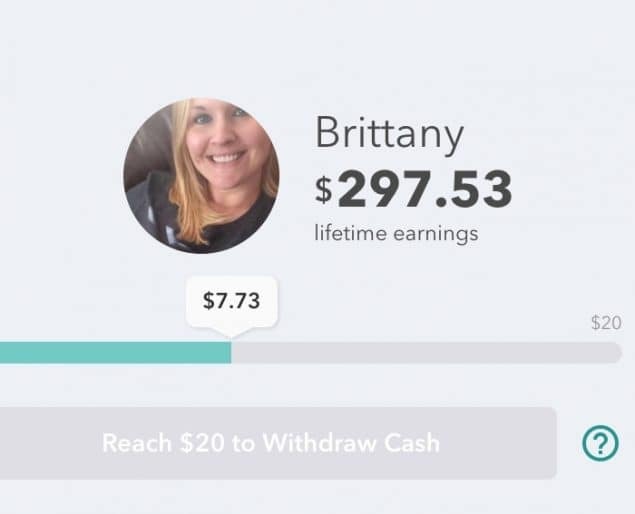 Ibotta is currently my #1 money saving app that I use on a regular basis. Find Offers – Before you shop, add offers on great products by completing simple tasks. Go Shopping – Buy the products you selected at any participating store. Don’t forget your receipt! Redeem – Redeem your offers by taking a photo of your receipt. They’ll match the items you bought to the offers you selected and give you the cash! 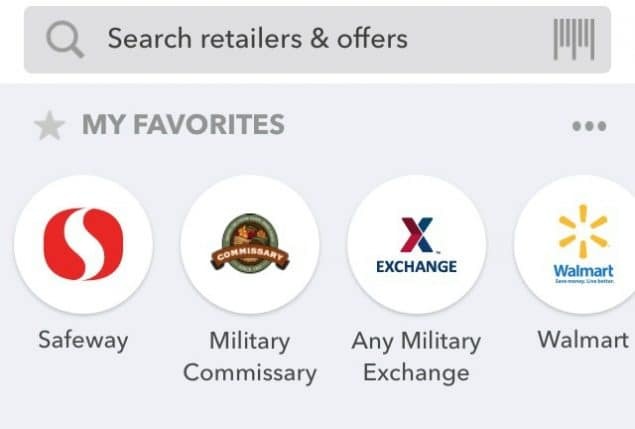 There are several stores on the app that we have listed as our favorites that we shop at on a regular basis – Military Commissary, Military Exchange Walmart, Safeway, and Dollar Tree. To save money on groceries with the Ibotta, we browse through the offers and find the products that we need to buy. We create our grocery list, shop, and then scan our receipts on Ibotta so that we can earn our cash back on the products we purchased. We usually find multiple offers to take advantage of. For example, we recently bought two packages of our favorite breakfast sausage recently. When I got home, I looked at the Ibotta app and saw that I could claim $1.25 back on the breakfast sausages up to two times. We ended up getting $2.50 cash back on the purchases! There are short, simple tasks to complete to be able to unlock the cash back rebates – usually short questions, videos, etc. 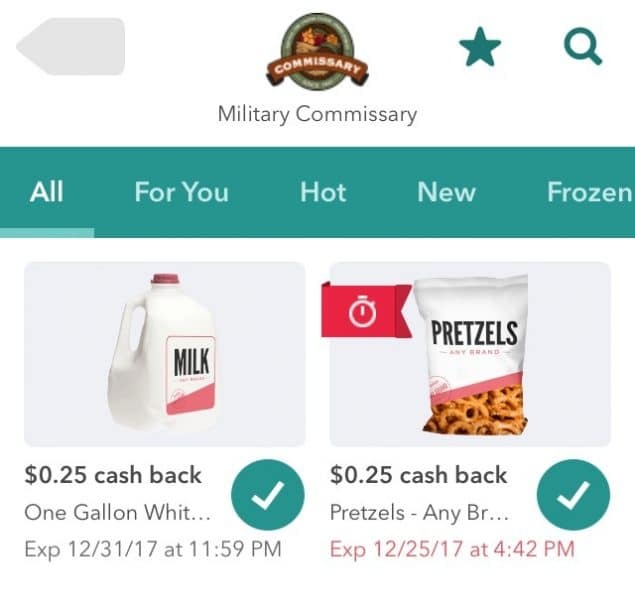 My favorite offers include the “any brand” items – things like, “Get $0.25 on any brand of milk, bread, etc.” We can even find cash back on fresh fruits and produce! Whenever you earn $20 cash back in your account, you can cash out with Ibotta! I usually choose $20 PayPal or a $20 Amazon Gift Card. 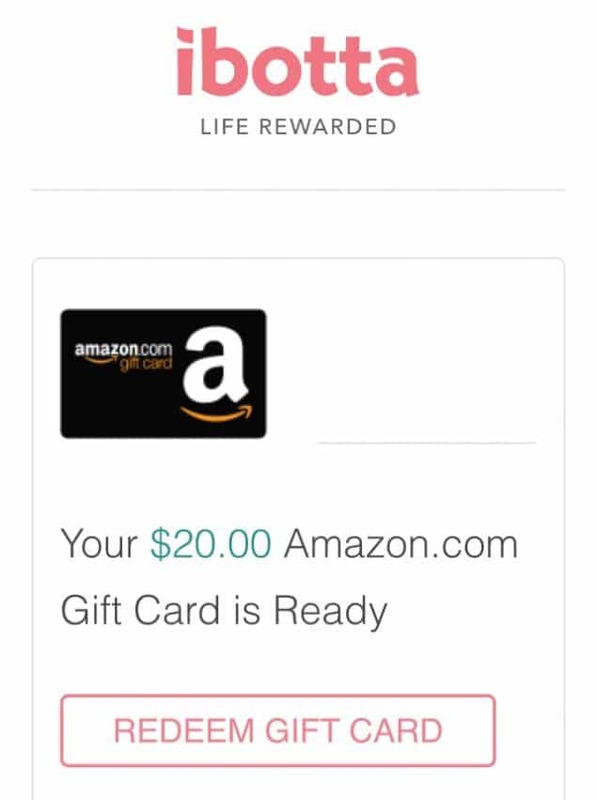 With Christmas around the corner, I cashed out last week and redeemed a $20 Amazon Gift Card! There other rewards to redeem when you meet the $20 payout including Venmo cash or gift cards like Kohl’s, iTunes, Walmart, Best Buy, Applebees, Buffalo Wild Wings, and many more! You can also refer friends and earn cash back, too! This looks like a helpful app. Groceries can be so expensive!